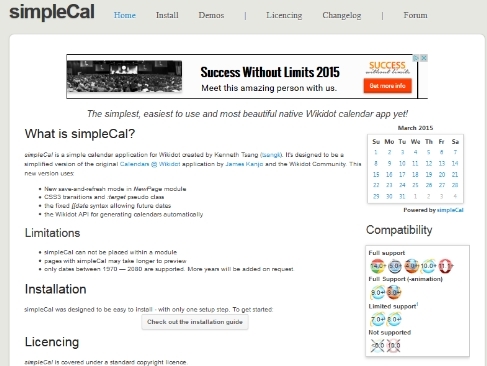 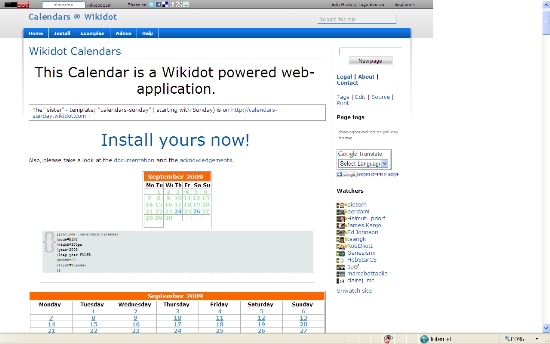 The simplest, easiest to use and most beautiful native Wikidot calendar app yet! 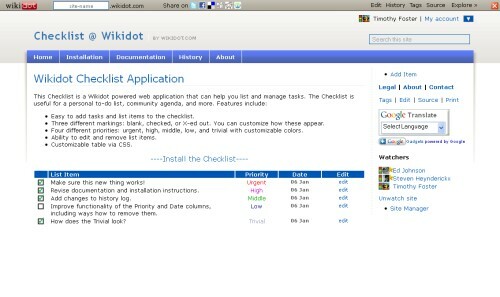 This Checklist is a Wikidot-powered web application that can help you list and manage tasks. 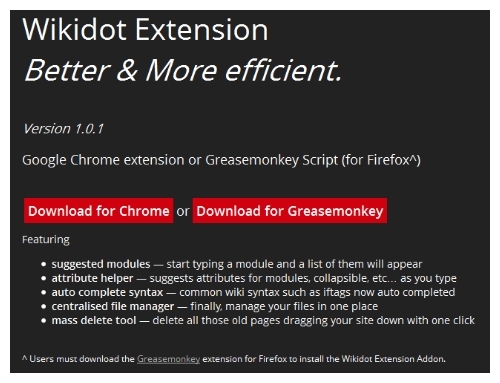 A new (unofficial) Extension Script Wiki with Install and Doc., to allow "Autocomplete" for all and for admins "Mass Delete Tool" and "File Manager". 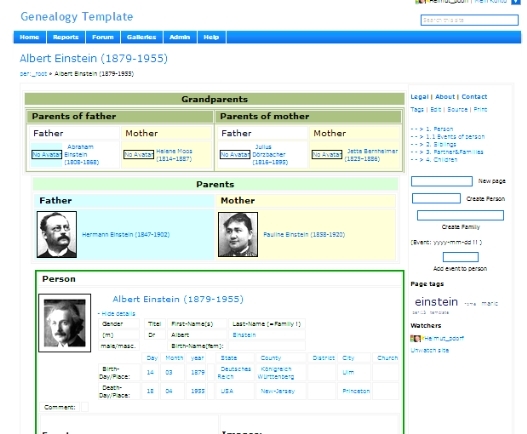 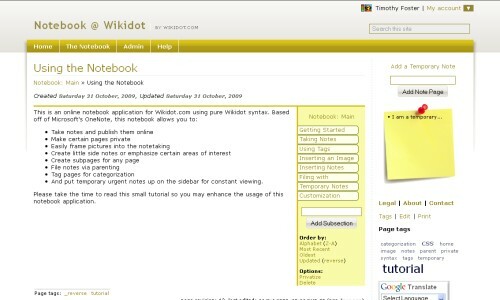 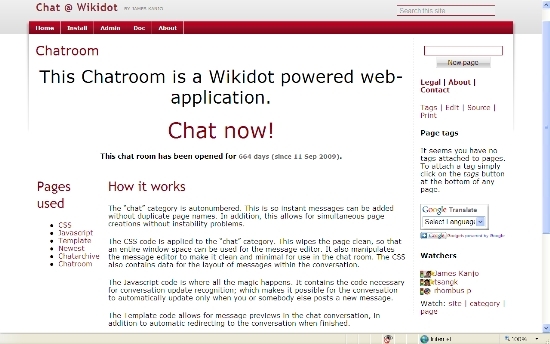 Wikidot's prime notebook application, featuring sections, subsections, noteboxes, temporary reminders, and more. 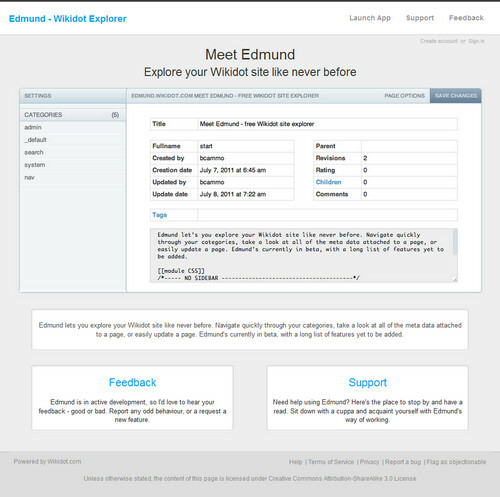 The one-way stop for creating a secure password input box for your site.